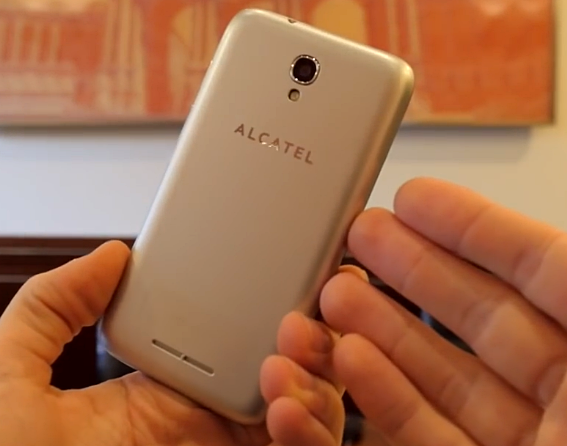 Alcatel Philippines recently released a duo of mobile devices catering to entry-level consumers -- especially those who are still studying and are planning to get their first smartphone as well as the ones who have just graduated from school and are now looking for or have just started on their first job! 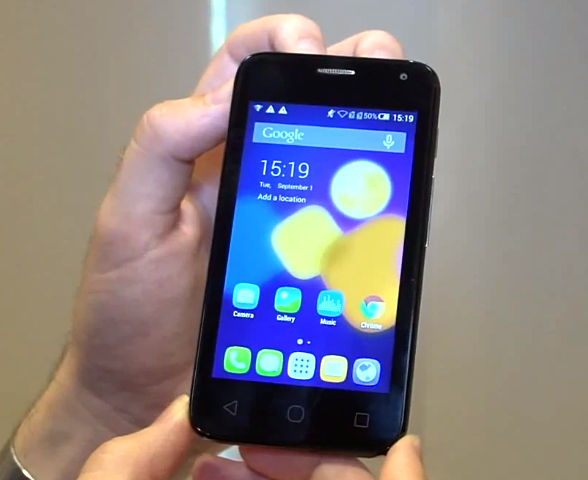 Alcatel OneTouch Pixi First is one of the most affordable handsets in the Fresh company's current product line-up. Although having modest technical specifications, the brand is confident that this model should be good enough to allow consumers to have a decent social networking, imaging, basic gaming, and web browsing experience on-the-go. Pixi First is equipped with a 4-inch WVGA (480 x 800 pixels resolution, 233 ppi pixel density) TN display panel, a 5 MegaPixel camera with LED flash at the back, 2 MegaPixel selfie shooter in front, Full HD 24fps video recorder, Dual SIM Dual Standby capability, and 3G HSPA+ support. Inside, it runs its Android 4.4.2 KitKat operating system with a 1.2 GHz Quad Core ARM Cortex A7 and Mali 400 GPU based Spreadtrum SC7731 chipset, has 512MB of RAM, and 4GB of expandable storage. The handset is powered by a removable 1,450 mAh Li-Ion battery pack delivering around a whole day of uptime with regular use. I would like to give credit to PhoneArena and 'Review Tech' for the gadget photos that I used in this post. Kindly support their sites and Youtube channels, TP Friends! 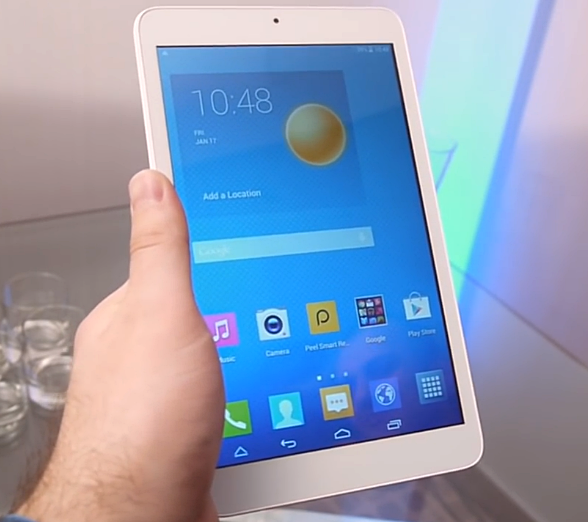 Alcatel Pixi 3, on the other hand, is the company's budget-friendly tablet that's just about the size of a regular school notebook. Flaunting a no-frills plastic shell, this slate sports a 7-inch 600 x 1024 pixels (170 ppi pixel density) TN display, 2 MegaPixel main camera, VGA front cam, 2,820 mAh battery pack, plus WiFi 802.11 b/g/n and Bluetooth v4.0 connectivity support. Under the hood, it runs its OneTouch-UI-skinned Android 4.4.2 KitKat OS with a 1.3 GHz Quad Core Mediatek MT8127 processor, has 512MB of RAM, and comes with 4GB of ROM that one can easily beef up via the microSD slot supporting up to 32GB. This slate's power and gaming performance are largely comparable to that of Pixel First but since it has a bigger display it offers a more immersive and enjoyable photo and video viewing experience. 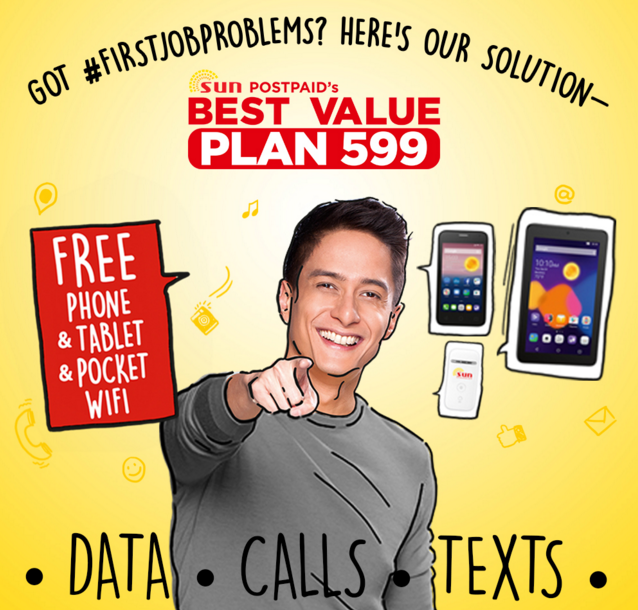 Thinking about getting your first postpaid plan? If you're a hip but budget-conscious young consumer who loves texting and making phone calls as well as updating your Facebook, Twitter, and Instagram on the road via mobile network or inside the office or cafe via WiFi connection, this Sun-powered Duo should be great for you.